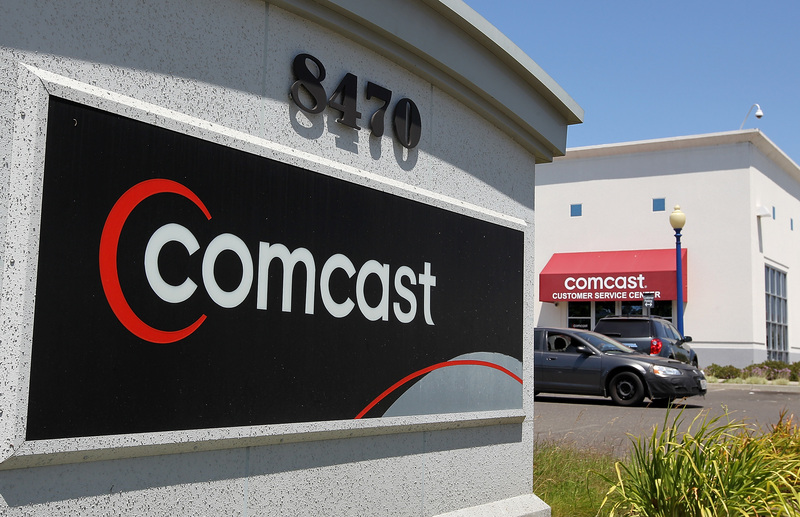 Comcast (CMCSK) announced plans to buy Time Warner Cable (TWC) Thursday in a deal worth $45.2 billion. The deal requires regulatory approval and is expected to close later this year. One of the big questions is what the impact of the merger would be on customers. The answer is complicated, but the likely outcome is that the deal won't be good for individuals. The companies claim in their materials that the deal is "pro-consumer, pro-competitive, and will generate substantial public interest benefits." Comcast goes on to list technical upgrades, including improved network speeds, claims that Time Warner customers will get faster Internet service. Comcast does offer some fast speeds, but those are always couched with the moderating phrase, "up to." Cable companies connect consumers to their offices through loops that go out and return. The more people on a given loop at the same time, the slower the performance for any one person. Start combining operations between companies, and you might end up with more people per loop and, therefore, increased pressure on the actual connection speeds they experience. Interestingly, according to DSLReports.com, in the past Time Warner's CEO claimed that users didn't want even faster connection speeds because they weren't signing up for the fastest ones the company offered at the time. The criticism is that people didn't want the faster speeds because they were overpriced. It's a reminder that the availability of faster speeds, no matter which cable provider is involved, typically means higher prices. Unless consumers happen to live in one of the areas where the highest speeds are available and are willing to pay more, the technology promises may be immaterial. For many consumers, cable is a virtual monopoly. Neighborhoods or even entire towns may have contracts with a specific provider, which means a lack of competitive pricing. The long-standing theory is that wiring and maintaining an area is expensive and the provider doesn't want to do so only to have competitors ride off its work without having had to make any infrastructure investment. In that sense, nothing will change. However, local cable contracts come up for renewal, which is when competition can come into play. The fewer big cable providers competing for that town's business, the fewer potential bidders and the more likely prices will be higher. Collectively, consumers have less leverage. That could lead to -- if not higher prices -- a potential downgrade in service. Comcast has tested consumer data caps, which can reduce the ability of people to watch as much streamed entertainment over the Internet as they would like. According to The Consumerist, Netflix streaming speeds for Comcast have dropped sharply. If the merger is consummated, Time Warner Cable customers will likely have the same terms as Comcast customers. Perhaps the biggest unknown is how the merger might affect the range of programming available to customers. Comcast owns NBCUniversal and has an economic interest in pushing use of those programs and web sites over ones from competing sources. Also, both Comcast and Times Warner have gotten into disputes with content providers over so-called carriage agreements. These disagreements sometimes result in cable companies temporarily removing programming from the lineup. If Comcast, already the No. 1 cable provider joins with the No. 2 provider to becomes the 100-pound gorilla of the industry, it could have more leverage over content providers to force deals. Suffice it to say, with a market share of close to 30 percent, the combined entity would have a greater ability to put pressure on programmers and push the industry to satisfy its interests and not necessarily those of consumers.